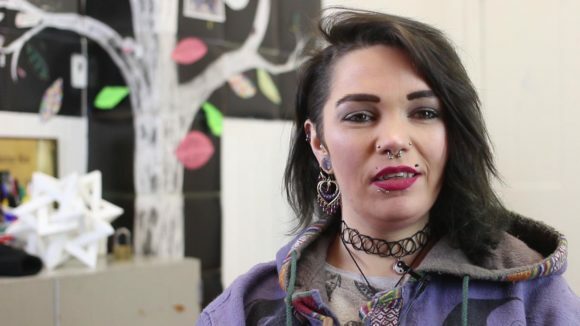 Last year, Dundee residents Michael Elliott and Marie Gibson, both care experienced young people, approached local charity Front Lounge to create a film about mental health. 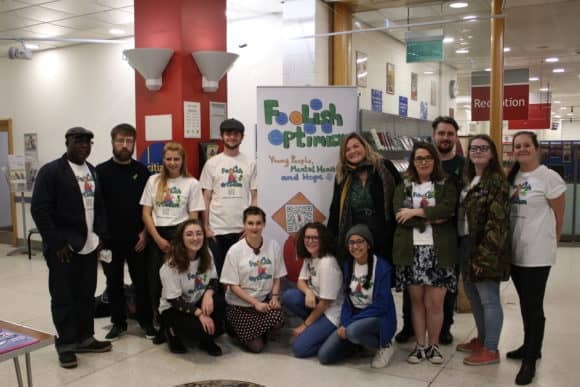 Six months later, ‘Foolish Optimism’ was born, exploring the stories of three young people living with mental health challenges throughout Scotland – Andrew Gibson (18), Chris McDonald (30) and Zoe MacKenzie (25). Issues covered in the 20 minute film include mental health triggers, stigma, seeking help and coping mechanisms. The film doubled up as a research project, with the results shared by University of Dundee graduate Zoe MacKenzie at a symposium earlier this year, resulting in calls for the film to be shared nationally. Front Lounge went on to attract funding from Year of Young People National Lottery Fund and Life Changes Trust, with a crowdfunding campaign also now underway to help fund other aspects of the project – https://www.crowdfunder.co.uk/foolish-optimism. The film was created by Dundee film-maker Nathaniel Inatimi, with support from Kyle Henderson and Chika Inatimi. The film features the voices of Zoe MacKenzie, Chris McDonald and Andrew Gibson. Workshop contributors were Chloe Meldrum, Alice Stuart, Jordan Millar, Shona Inatimi, Zoe MacKenzie, Amy Revell, Michael Elliott, Shantelle Lawson and Kai Anderson, Magnus Hogarth, Darce-Leigh Meldrum and Lilly Brown. Talking Heads, the initial filming which took place, leading to the research project, featured Marie Gibson, Shantelle Lawson, Amy Revell, Jordan Millar, Rosemary Head and Michael Elliott. Talking Heads was made possible with support from Big Lottery’s Young Start Fund.